This news article was contributed by Jocelyn Tan Xin Yi. 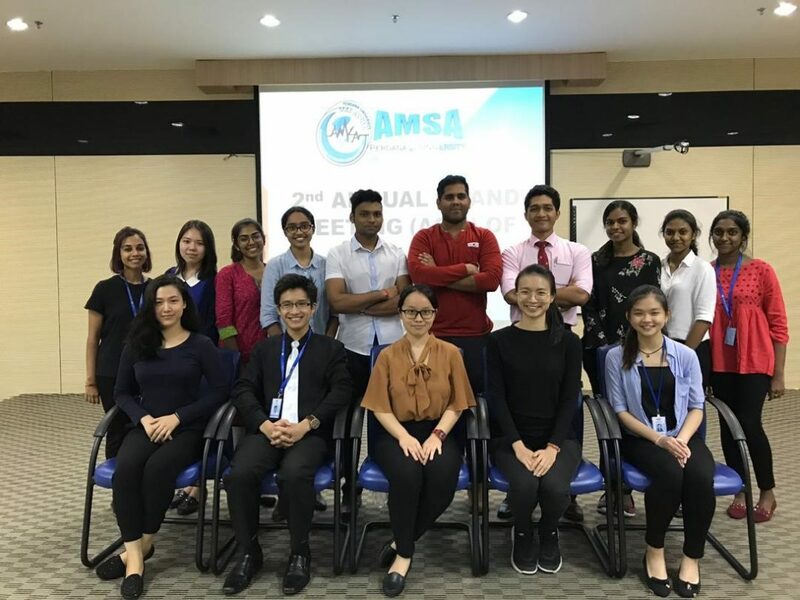 AMSA PU (Asian Medical Student Association – Perdana University) recently held their 2nd Annual General Meeting (AGM) on 21/11/2018 (Wednesday). Our AGM discussed the previous events AMSA PU had organized throughout 2017/18 which were Mental Health Day 2017, Teddy Bear Hospital 1.0 & 2.0, Coronary Heart Disease Day and Mental Health Day 2018. We also organized a sharing session on AMSC 2018 (Asian Medical Student Conference) by one of our representatives who joined the conference. We ended our AGM with the selection of new committees for AMSA PU 2018/19. On behalf of AMSA PU, I hope that our team can continue to bring a new spark to our student community as well as create new opportunities for students to gain priceless experience and friendship throughout their student life in Perdana University. Do look forward to our activities and events in the future!